Today the new EU Innovation Radar was launched to recognize high potential innovations and innovators in EU-funded research. Among them is the W3C WAI-ACT Project (grant 287725 of the 7th Framework Programme), which was ranked among the top ten ‘high capacity innovation projects’ (third place in SME ranking) in the JRC Science and Policy Report of 2014. The project was recognized for innovation in ‘Practical guidance on evaluation of Web Accessibility Initiative guidelines’. Web Accessibility Tutorials, which provide practical guidance on implementation of the W3C Web Content Accessibility Guidelines (WCAG). These tutorials are popular WAI resources, and currently account for around a quarter of the WAI website traffic. WAI Research and Development Symposia, which were a series of explorations of key research questions relating to accessibility, to help inform the development of W3C standards, resources, and guidance needed by the community. 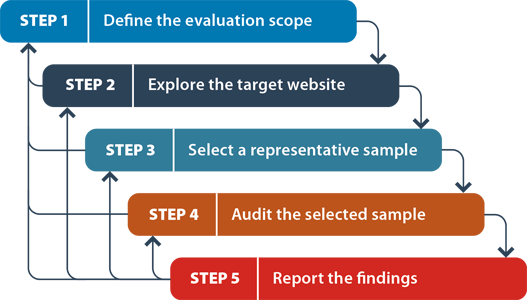 Website Accessibility Conformance Evaluation Methodology (WCAG-EM), accompanied by the WCAG-EM Report Tool. These provide guidance on evaluating entire websites, as opposed to individual web pages, to WCAG conformance. The WAI-ACT Project also included dedicated efforts to engage with the community and liaise we related efforts in Europe and internationally. For example, the project organized the W3C Workshop on Referencing and Applying WCAG 2.0 in Different Contexts, to better support the uptake of WCAG 2.0 internationally. WAI-ACT is part of a series of EU-funded projects led by the W3C Web Accessibility Initiative (WAI). The latest in this series is the currently on-going WAI-Tools Project, which in many ways builds on the efforts of the WAI-ACT Project and later W3C efforts to provide more guidance on accessibility conformance evaluation. We would like to take the opportunity of this recognition to thank the European Commission for their support over many years, the project partners, the W3C working groups, and the broader community, which made this work happen. I look forward to continued open collaboration through the W3C process.